Torn Banner Studios, creators of Chivalry: Medieval Warfare, will today officially launch the Closed Beta for their upcoming magic ‘n melee multiplayer combat game Mirage: Arcane Warfare. Starting now, players who pre-order Mirage: Arcane Warfare get instant access to the Beta, which is live until close to the game’s release date. Plus, Chivalry owners get 10% off. To mark this important occasion in the game’s development, Torn Banner Studios is pleased to reveal the release date for Mirage: Arcane Warfare: May 23rd, 2017. Pre-orders begin today at 10:00 a.m. PDT on the game’s Steam page, and early adopters will gain instant access to the Beta by ordering the Standard or Special Edition. Pre-order customers are also granted one additional “Friend Key” of the Closed Beta. More details on pre-orders for Mirage: Arcane Warfare can be found here. 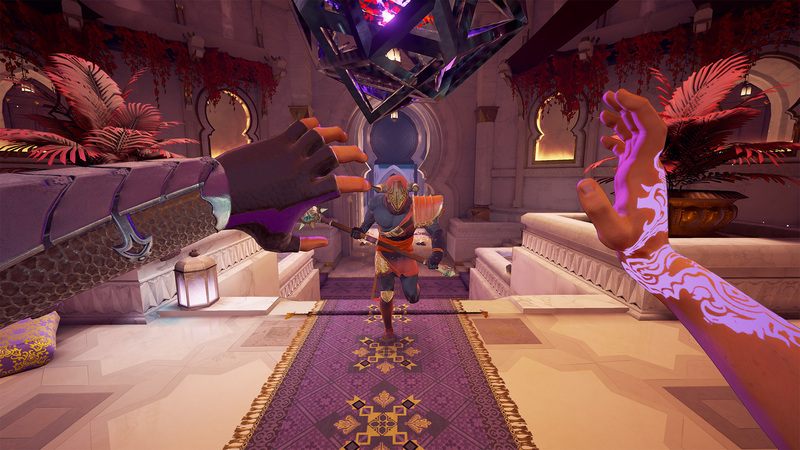 Beta players will experience the most complete version of Mirage: Arcane Warfare to date – under no Non-Disclosure Agreement; all broadcasting is allowed. Featuring all six character classes and two tiers of swappable magic abilities, the Closed Beta will rotate periodically through a total of eleven different environments and five gameplay modes. Players will also be introduced to a new character called the Entropist, a burly mage with a penchant for bar fights, wine and vulgarity. He can heal allies and summon a flying carpet – see his reveal in the final moments of the [Walkthrough trailer]. 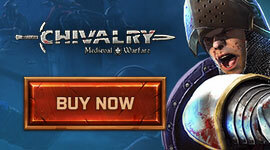 Torn Banner Studios is also making their hit game Chivalry: Medieval Warfare available for free for a day on Steam. With over 5 million players, Chivalry: Medieval Warfare was a cult hit thanks to its immersive, bloody medieval theme and complex combat system that caters to a high skill ceiling. From March 27th to 28th players will be able to download the game and permanently add it to their library for free, while taking advantage of the 10% off bonus that Chivalry owners get when pre-ordering Mirage: Arcane Warfare. Learn more about Mirage’s character classes in the new Instruments of Death video series. The Vypress, Taurant, Vigilist, and Tinker have been presented in videos so far, with remaining class trailers to follow in the lead up to the May 23rd, 2017 launch of Mirage: Arcane Warfare. For more information please visit MirageArcaneWarfare.com. Like their game’s Facebook page and follow it on Twitter @MirageGame for future news and updates. Torn Banner Studios is a small indie games studio that makes BIG games. Based in Toronto Canada, Torn Banner Studios was founded in 2012 by a group of passionate game developers who are dedicated to creating powerful and unique games for a dedicated audience of fans. The nucleus of the team first came together from a group of modders who created a well-known Half-Life 2 mod called Age of Chivalry. Their first full game, Chivalry: Medieval Warfare, was a critical and commercial success and has driven the dedicated team at Torn Banner to continue to develop great games and ongoing content for their passionate community of fans. For more information visit TornBanner.com or follow @TornBanner.